All of the makings of an almond joy candy bar are found in these Almond Joy Granola Bars, just without the added fat, preservatives, and loads of sugar! *Recipe and text from 01/09/13. Images updated 04/26/17. Well, I really like dark chocolate and coconut and recently I couldn’t get the Almond Joy combination out of my head, but I didn’t want the candy bar. Even if I did, we don’t keep candy in the house very often, and we rarely buy it except maybe around the holidays. My solution? Well, make something healthy that tastes like an Almond Joy, of course! 🙂 These granola bars are just that. All of the rich flavor of dark chocolate, coconut, and almonds without all of the added sugars, fats, and preservatives that are found in the candy bar. There is an option to add a bit of brown sugar to make the granola a bit richer, but feel free to just add a bit more honey in place of the brown sugar if you want to leave it out. 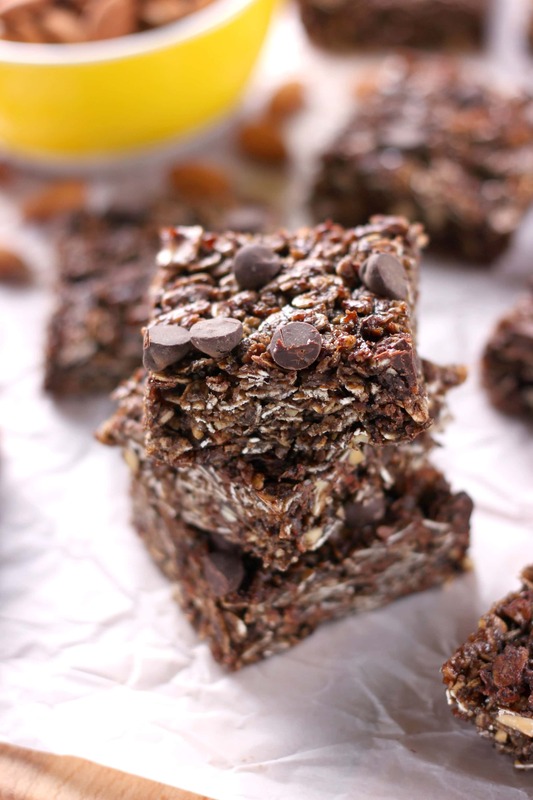 So the next time you want a candy bar, try these granola bars instead! They are well worth the little extra prep work of toasting the almonds and coconut. The toasted flavor adds so much to the overall flavor combination. If you really can’t wait, I suppose you could skip that step, but you’d be missing out! Line a 9×9 inch baking dish with parchment paper or lightly spray with non-stick cooking spray. Spread out coconut and almonds on a baking sheet. Toast for for 10-15 minutes or until lightly browned. Stir occasionally to prevent burning. Remove baking sheet from oven and leave oven at 300. In a large heat-safe bowl, stir together oats, oat bran, and flaxseed. Set aside. In a medium saucepan, stir together honey, milk, brown sugar, baking cocoa, butter, vanilla, and salt. Heat over medium-low heat just until mixture starts to boil, stirring occasionally to prevent scorching. Remove from heat and stir a couple of times to cool. Stir toasted coconut and almonds into oat mixture until combined. Add liquid mixture to dry ingredients and stir until combined. Stir in chocolate chips. Pour mixture into prepared baking dish and press firmly into bottom of dish. Sprinkle with additional chocolate chips, if desired. Bake for 20-25 minutes or until edges start to appear dry. Remove dish to a wire rack. Allow to cool completely before cutting into bars. Store in an airtight container. This recipe is adapted from One Hungry Mama. I don’t have a lot of candy in the house that my kids are allowed to eat, they mostly go into my baked goods. But I do have granola bars. They are store bought usually. I SHOULD be making these for my family instead of buying them! Great recipe! 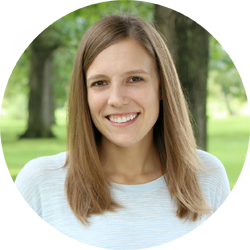 I’m doing the same thing lately…craving bad foods and trying to make healthier options that satisfy those cravings. These look delicious! Awesome idea. I need to buy coconut, STAT! I heart almond joys!!! You made my favorite candy bar semi healthy. I will be forever in your debt. I am so going to make these! I actually have everything in the pantry! These look amazing! 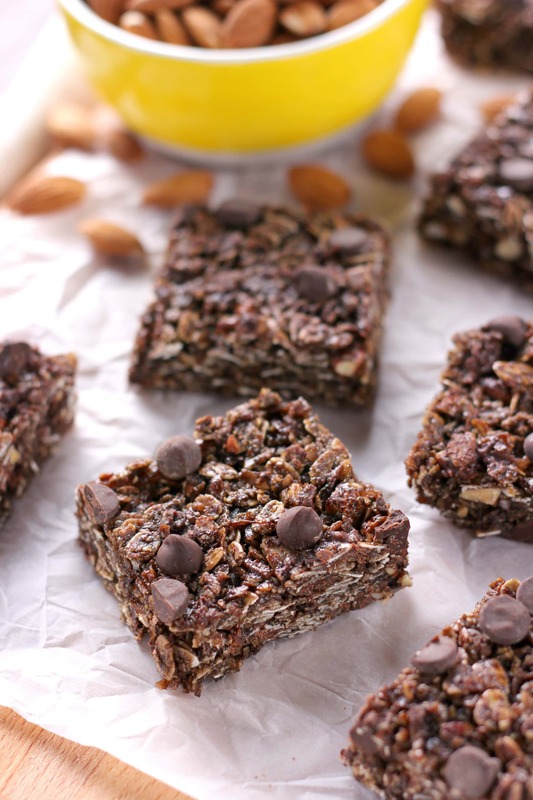 I was just thinking how I wanted to make granola bars when I stumbled upon this…they look phenomenal! Yeah, these really aren’t too bad for you… I’m in love and have to try these!! I love almond joys! This granola bar recipe is genius!!! I’m making these this weekend! Thanks for the recipe! I was just thinking today as I was eating a granola bar about making some homemade ones again. These look fantastic and yummy. I love the sound of these. Pinned for later! I am ALL over this. Genius! Tis the season for making healthy snacks for sure, I made some granola bars last week but I think I need to try making some more because we ate them all up. Happy New Year! DUDE almond joy granola bars?! I’m swooning over here. I also try to not keep candy in my apt because then I will slowly get so fat no one will know what to do with me :O These sound perfectly decadent while still being okay for my waistline teehee 😀 bravo! 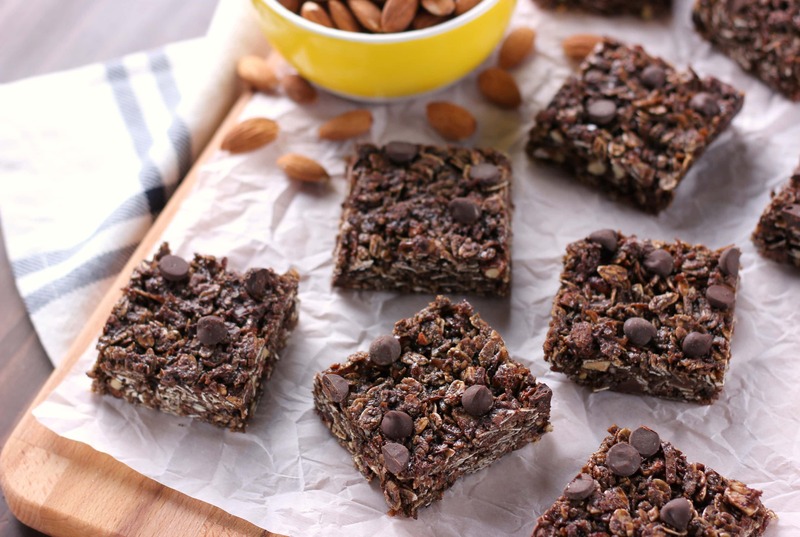 I havea always wanted to make my own granola bars and these look terrific! Like you said-they taste like chocolate, but are good for you too! I was just thinking to myself that I need to make some granola bars and then I see these! YUM! Wow, all of that goodness and only 2 Tbsp of butter?? Impressive! Almond Joy are one of my favorite candy bars and I see these bars in my near future! 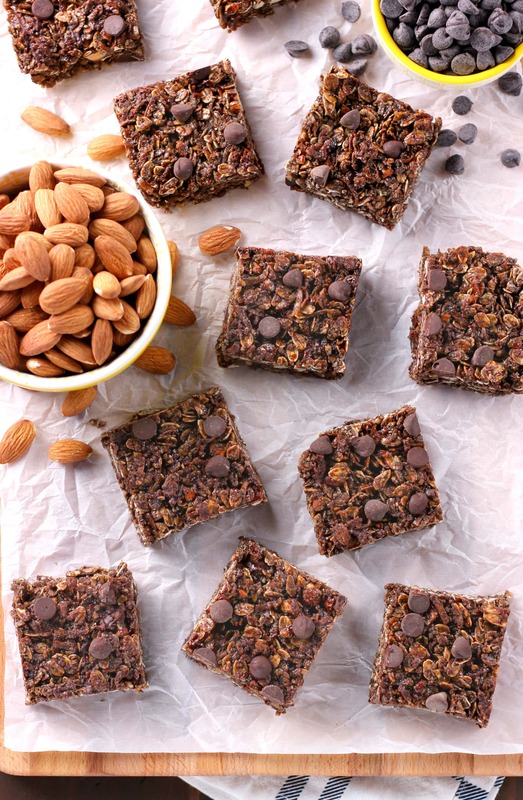 These look awesome, I love homemade granola bars! These look really good. I have to say I would never have thought to do this. I would be the only one to eat them in my household haha, but they look perfect! I love Almond Joys and I love granola. Can’t wait to try these! I’ve never done homemade granola bars! I’ve been soooooo into homemade granola bars lately. I love this almond joy version – can’t wait to try these! I can’t keep candy in my house for the very fact that it’s all I think about. When it’s all I think about, it’s all I end up shoving into my mouth. No candy in this gal’s house. I love granola, and this sounds like the perfect combo. A treat without the guilt. Love it!